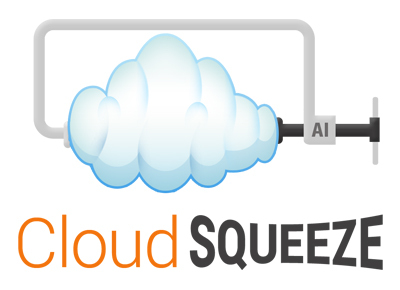 FORT MILL, S.C. - April 2, 2018 - PRLog -- Cloud Squeeze is the first only deep-learning artificial intelligence (AI, deep learning) based cloud cost optimization tool for Amazon Web Services that shows cost savings in 3 minutes, irrespective of the size of ones cloud fleet. They scale up their computing capabilities with serverless technologies and use deep learning driven analysis of cloudwatch logs in minutes. Similar to how Google learns what is spam from your choices, the platform learns from the actions taken that realize cost savings. Using AI and serverless tech, we assess computing patterns in minutes to determine the best cloud resource type (meaning no more spending money on unused cloud resources). We enable cloud users to shed excess capacity & scale on demand. On average they save their users 25%-55% in AWS costs. And they do this without requiring them to install any clunky software or changing any code! Last month they have their AWS community of users, $100,032 from their bill spend of $568,716. There are other AI based products in the pipeline for the cloud that Software WORX is working on. Software WORX is passionate about using technology to automate, simplify and enhance our lives, so we can focus on meaningful relationships with people and our loved ones. Our vision is to enable this for our clients.